The world premiere of a new Canadian opera is cause for celebration. This was certainly true of Isis and Osiris: Gods of Egypt, at the St. Lawrence Centre for the Arts – music by noted composer, Peter-Anthony Togni, and libretto by poet, Sharon Singer. Direction is by Guillermo Silva-Marin, and produced by VOICEBOX: Opera in Concert, with support from the Egyptian Tourist Authority. Brothers Osiris & Seth and their sisters Isis & Nepthys are children of Nut, sky goddess, and Geb, god of earth, who incarnate as human: Osiris and Isis become King (Pharaoh) and Queen, to bring order, justice, and culture to Egypt. The opera begins as Osiris, sung by personable tenor Michael Barrett, announces his Great Policy of Peace: “…Negotiate before we retaliate,” is still a strategy in modern politics. Soprano Lucia Cesaroni, in the role of Isis, becomes increasingly passionate and regal, as the story unfolds. Playing Nepthys, mezzo-soprano Julie Nesrallah, has a dynamic, captivating stage-presence as she helps the royal couple. Seth, sung with intensity by baritone, Michael Nyby, is an archetypal villain. Jealous and lusting for power, he lures Osiris to his death by trickery, sealing him in a closed casket, floating down the Nile – on the very night when Osiris and Isis plan to conceive a child. Grief-stricken, Isis finds Osiris and brings him home, but Seth discovers and dismembers the body; he usurps the throne, creating a reign of terror and “defiling the Nile” – another link to modern problems. Isis again locates Osiris, using her magic to revive him. Seth, however, returns to boast, “I will be here always. You will find me in your own heart/and in the hearts of those who rule over you.” Osiris hovers behind him: the age-old conflict continues. 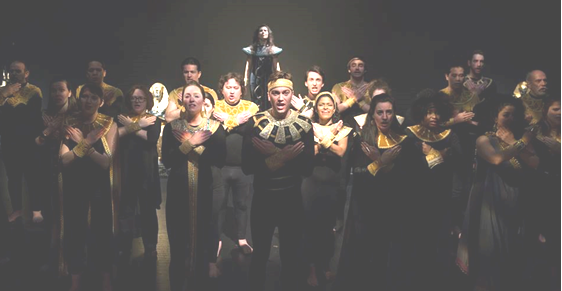 Other soloists included Stuart Graham, dramatic baritone, as the Grand Vizier, Christopher Wattam, tenor, as High Priest Imhotep, and soprano Leigh-Ann Allen as Sennefer. Togni’s music echoes the dance between harmony and discord, using both Western and Oriental harmonics. Music for percussion and woodwinds was particularly striking. His use of plainchant works well with the 29-member chorus (male and female), and I liked the duets between the principals. There were some lovely orchestral transitions, and spoken dialogue flowed easily into singing. Robert Cooper skillfully conducted the small orchestra and directed the chorus. 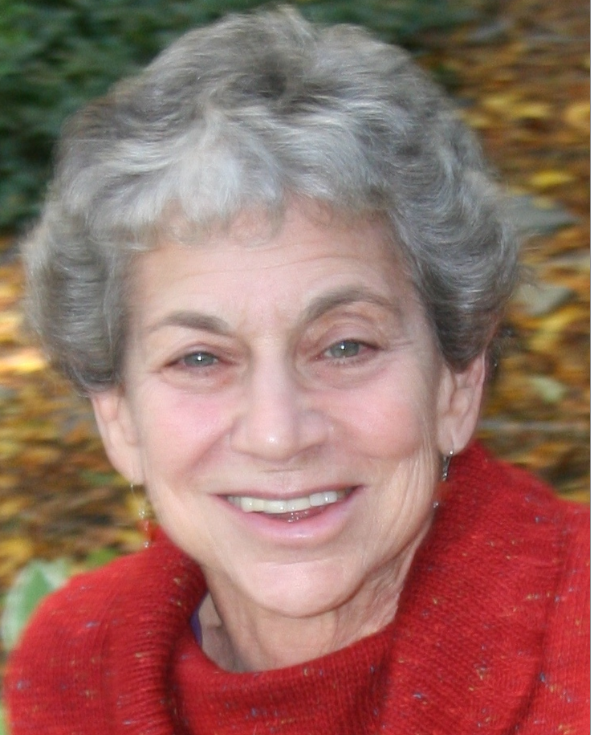 Singer developed the idea for the opera and her enthusiasm motivated the project. Her libretto is dramatic and clear, with rich sensual imagery. She gives human emotions to the gods without losing the mythic themes. The bare stage, guarded by four golden statues of the gods, provided an effective background; the lighting (designed by Silva-Marin) created changing moods. The black-and-gold colours of the simple leotard-like costumes also worked well. Nepthys’s “sky-blue-pink” tunic was an excellent contrast; I would have liked to see Isis, too, wear something unique, perhaps red, symbolizing her divinity and royalty. Opera in Concert, founded in 1974, “explore(s) the singing voice in its purest form – stripped of sets, costumes, and accoutrements”… watch for their future productions.